Do you want to be more confident at interviews? Do you have an upcoming job interview? Are you nervous about selling yourself? Are competency based questions a mystery? Have you missed out on a job you wanted because of a bad interview? If you answered “yes” to one or more of the above questions, Interview Coaching is for you! Interview Coaching gives you the opportunity to be the best “you” at an interview by providing you with the tools and confidence to succeed. It focuses on your own personal development needs and is very practical and results driven. Each session is unique and designed with your specific requirements in mind. Whatever your needs, in a short period of time, your interviewing skills and techniques will be improved. It will help you understand the style and type of questions, as well as possible questions and how best to answer them. Just like a good presentation requires practice, interview coaching is a rehearsal for the real thing. It is the perfect scenario to make mistakes and learn from them so that you can improve. It will help you focus and answer questions more effectively. On the interview day you will be less nervous and anxious and instead will be feeling prepared, confident and positive. 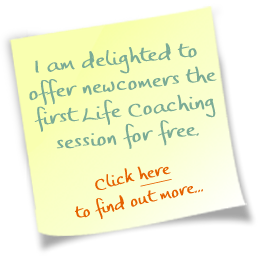 What does an Interview Coaching session involve? – A review of your CV. – Feedback and discussion on how to improve interview performance. – Top common interview questions and answers. – Recognising competency gaps and identifying strengths and weaknesses. – Body language and image as well as other interview pitfalls. A plan of action will be discussed so that you can build upon what you learnt in the Coaching Session. You may be wondering why Ana is the best person to help. Ana can support you in a number of ways depending on what you need, ranging from help with your CV, interview preparation, salary negotiation, confidence building etc. Ana’s expertise comes from both her knowledge and experience as a Coach as well as her background in management and recruitment. I want to improve my interview skills. What next? 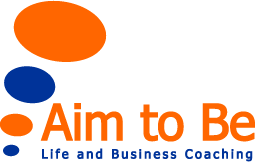 Call or email Ana to arrange your Interview Coaching Session.